Are you embarking on a home exterior renovation project? One of the most important considerations is siding material. 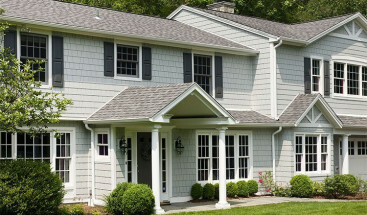 With a variety of siding options available, making a decision can be overwhelming. Siding material is a major investment, and you’ll have to take a number of features into account. How much time and money can you devote to maintenance, for example? Is durability important to you? Do you care about eco-friendliness? Appearance is also a major consideration. Your home’s exterior gives neighbors and others insight into your style. 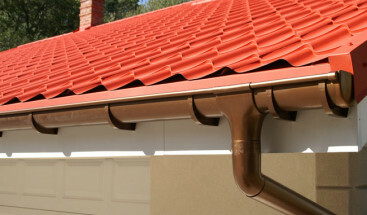 Which siding material will you choose? Let’s take a look at some of the most common exterior siding materials and their features, including, wood, vinyl, stone, veneer, and fiber-cement. Wood was once the most commonly used siding material, and many homeowners continue to use this material for its classic, rustic appearance. Because they’re made from an organic material, no two wood houses are alike. Wood offers a unique textured look, whether in clapboards, shingles, or planks. Unfortunately, wood tends to fail on the durability front – unless homeowners put aside the time necessary to treat it on a regular basis. The material is susceptible to a number of environmental influences, making it an unreliable choice. You can paint the material any color you’d like, but be prepared to scrape, prime, and repaint every 3 to 7 years (or stain every 4 years or so). 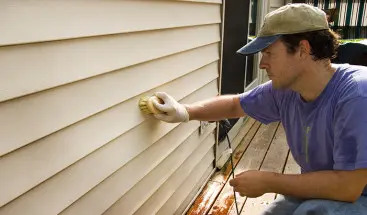 Changes in humidity and temperature can cause wood siding to warp, expand, and contract. It’s also prone to chipping and moisture damage. You’ll need to commit to treating the material on a fairly regular basis to prevent fire and weather damage. Wood can also be host to a number of pests, like termites and carpenter ants, requiring a number of treatments to keep infestations at bay. Another longstanding classic choice of siding material, vinyl is affordable and virtually maintenance-free. You can choose from a number of colors and styles, and many manufacturers have created vinyl siding products that significantly mimic other popular materials. High-quality vinyl offers great protection for your home, increasing its R-value to improve insulation. If you’re looking for a material with a good combination of durability and affordability, vinyl is a good choice. Installed and vented properly, vinyl siding will also allow you to enjoy advantages like moisture management and prevention of air filtration. Another classy natural material, stone is extremely expensive to buy and install due to its high cost and heavyweight. High-end materials like granite and limestone are durable and resistant to weather, but require just as much treatment and regular cleaning as wood. Stone comes from quarries, which have a number of negative environmental effects – and often have to be transported over long distances, adding even further to the cost. You’ll also have to make sure your stone siding doesn’t cave in and damage the home’s infrastructure. Stone veneer is a popular alternative, providing the same gorgeous natural appearance at a fraction of the cost. Veneer is strong enough to resist inclement weather and temperature changes while maintaining its structural integrity, so you won’t have to take the same care as you would with natural stone. As a manufactured material, stone veneer is a much more environmentally friendly alternative to natural stone. By choosing a nearby manufacturer, you’ll help bolster the local economy and avoid the negative environmental effects of commercial stone mining. Fiber-cement siding is comparable in cost to other high-end materials, but its superior durability and other benefits make it a sound investment that will last decades or more. The material has been specially formulated to resist a number of common environmental hazards, from extreme temperature changes to fires, in addition to problematic infestations of insects or mold. The material breaks down into just a few simple ingredients: wood pulp, Portland cement, fly ash or silica sand, and water. The wood pulp provides flexibility and resilience, while the fly ash or silica sand fills out the material. Finally, water activates the cement – which is made of a mix of iron, clay, and limestone – so it hardens and binds the rest of the materials together. Both highly durable and requiring little to no maintenance, fiber cement is one of the most eco-friendly materials on the market. Homeowners can choose from a number of different styles and finishes to achieve a strikingly wood-like appearance or a simpler, smoother appearance. Fiber-cement also comes in plank, clapboard, and panel cuttings, among others. Fiber-cement readily accepts paint, so while it can come pre-colored, you can apply new colors later on. The material also resists warping, expanding, and contracting, so any paint you apply will last longer. At Refined Exteriors, we stand behind the James Hardie brand for fiber-cement siding, because it provides the ideal combination of durability with a wide variety of styles for a gorgeous appearance. Choose from a number of vibrant pre-set color options with the brand’s stellar ColorPlus technology, protected against fading, cracking, swelling, and more. 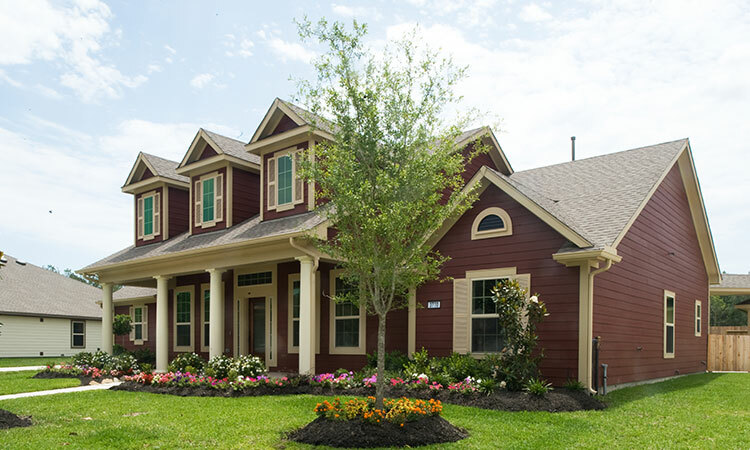 Resistant to fire, mold, and extreme temperatures, James Hardie is clearly the brand of choice. We specialize in gorgeous, unique exterior home remodels, including roofing, windows, doors, and – of course – siding. There’s a reason we’re the preferred home exterior remodeling contractor in Denver. Contact us today to learn more about how new siding can help protect your home and family.